Welcome to the Mirman School Parent Service League's (PSL) online volunteer signup form. 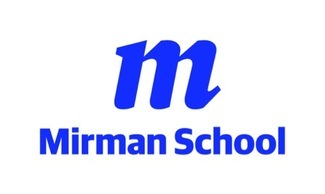 As a parent or guardian of a Mirman student, you are automatically a member, and we count on you to help our community thrive by your contribution in time and effort. Your participation is invaluable...THANK YOU! The PSL funds all of its own events, and raises average $150,000 net to give back to the school as either cash donation or improvements for the classrooms/campus. Please select these events/opportunities with which you might like to help, and you will be contacted by the committee's chairs. To reach them directly, you may also find the listing in your school roster under PARENT SERVICE LEAGUE (2018-19 Roster released in September 2018). Haven't found your calling? There are many opportunities to volunteer at Mirman, without having to commit to a regular date and time. Tell us about your special talents or interests, and we will contact you when we need help! Assist with Annual Giving fundraising effort. Join in the camaraderie and help reach the goal of 100% parent participation. Most of the work can be done at home. Dr. B's Breakfast is our beloved community tradition. A crew of early birds is needed to help set up, serve, and clean up. Occasional volunteering is fine. Help organize and provide confidential support (e.g., meals, errands, carpooling) to Mirman community members in need (due to a birth, adoption, health challenge, bereavement, etc.). Collaborate with school administration and help plan festive school-wide events to celebrate the cultural diversity of the Mirman community through food, music, dance, and demonstrations. Do you enjoy capturing children's memories and creating a treasured keepsake, while raising money for the school? Editors enjoy special access to their kids' school day. Experience with Shutterfly is helpful. Do you have a great camera and a keen eye? We often need photographers for events at Mirman! If you'd like to be on our list of go-to photographers, let us know. A casual community event for the whole family. Help set up, decorate, make popcorn, mix lemonade, and rustle up some fun at this annual tradition. Calling all artists! Have major design skills to help our committees? We always need posters and other design/artwork for our events and School Store. Help us provide food service for school social functions. A few events this committee hosts is: Welcome Back Luncheon for faculty, Boo Breakfast and Teacher Appreciation Luncheon. This is a fun way to get involved in the school community. Assist in organizing items placed in the Lost & Found closet to help them make their way back to their rightful owners. Unclaimed items are sold at school-wide Used Uniform sales. Boosters support the Music Department, particularly the choral music program, by volunteering at the Holiday Program, out-of-town competitions, and more. Contact PSL for more information if needed. Help us welcome new families to the Mirman community. Mirman families are also invited to serve as mentors to incoming families. The Nominating Committee meets in the spring to nominate a slate for the PSL Executive Board (President, Vice President, Recording Secretary, and Treasurer) in accordance with the PSL Bylaws. The Party Book is a catalog of parties sponsored by Mirman families for members of our community to help folks get to know each other and raise money. To help organize these parties, please signup here. To host a party, visit: www.mirman.org/partybook. Help spread Mustang Spirit with periodic on-campus sales of Mirman merchandise, including school supplies, apparel, and more. GO MUSTANGS!! Collaborate with school administration to provide support for school-wide and classroom-centered community service projects, such as a holiday food-packaging event and food drives. Supports the Mirman Mustangs Athletics Department. Organize snacks, transportation, and photography at sporting events. Submit articles and photos to newsletter and school website. Help plan and prepare for the Raffle at the annual Spring Fair. Jobs include securing prizes, organizing ticket sales, running the Raffle at the Spring Fair, and coordinating parties for top Raffle ticket sellers. The show must go on . . . with your help! Volunteer to sell tickets, prepare the theatre for performances, and do hair and make-up. US3 Play in December/US4 Musical in June. (Individual signups will be launched 3 weeks prior to event in a separate tab). This committee serves 4 festive themed lunches to all students, faculty and staff. This is a fun way to see your kids on campus and visit with other parents. Usually Thanksgiving, Winter, Spring and Field Day. (Individual signups launched 3 weeks prior). Help with sales of gently used Mirman School uniforms at multiple sales events. Volunteers get first pick at the merchandise! This is an important opportunity to help our initiative to recycle, and allowing opportunities to purchase at huge discounts.